TV STORE ONLINE: So how did you ALMOST come to direct HALLOWEEN III: SEASON OF THE WITCH (1982)? DANTE: As I recall...John Carpenter said that he wanted to do another HALLOWEEN but he didn't want it to be like the first two...I met John for dinner at some restaurant at Universal,which now is CityWalk, and we talked about a approach to the material. He was into this Catholic thing. I suggested that he hire Nigel Kneale who was a very intelligent Science fiction writer who had written some really good pictures like FIVE MILLION YEARS TO EARTH (1967) and the QUARTERMASS pictures. I thought it would be right up his alley, and this was when I thought I was going to be the director and John would be the producer. Then John got in touch with Nigel, and Nigel did a treatment. This came at the time that I also got an offer from Steven Spielberg and John Landis to be involved in TWILIGHT ZONE: THE MOVIE (1983). So since nothing was for certain yet on HALLOWEEN III, I decided to start work on TWILIGHT ZONE because that was definitely happening. So I told John that I was going to have to leave to work on that. 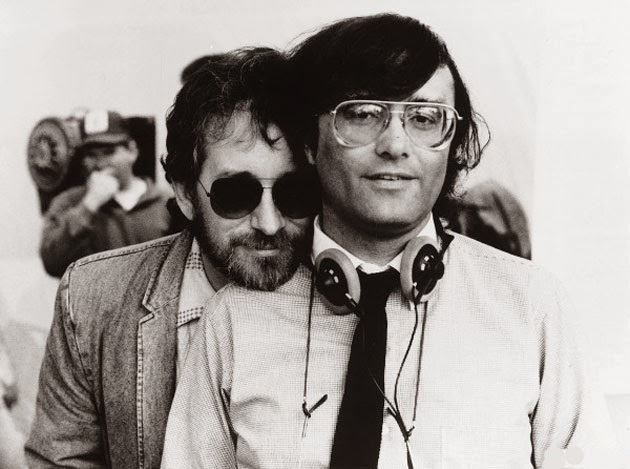 So John hired Tommy Lee Wallace to direct the film. TV STORE ONLINE: Before you suggested Nigel Kneale had you been given the option to come up with a story idea for HALLOWEEN III? DANTE: No, John already had a story in mind for what he wanted to do. It was similar to the story that was told. When he hired Nigel Kneale the idea got fleshed out and went into what I thought was a much more interesting direction. Then, as I understand it, Nigel saw the picture or maybe he had just seen a rewrite of his script, but he demurred and didn't want a credit on the film. 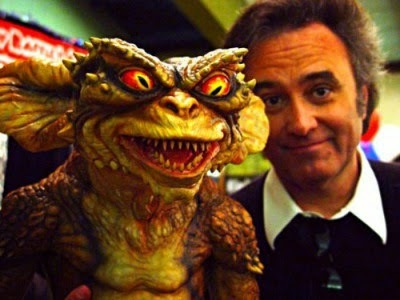 for Universal Studios in the early '80s. DANTE: I was. I was hired to be the backup director for Jack Arnold because he at that time had only one leg. Universal was worried that he wouldn't be able to finish the picture. They wanted to have another director on hand in case their was a hill that he couldn't climb and they just wanted someone to help out on the picture. TV STORE ONLINE: Did you see HALLOWEEN III: SEASON OF THE WITCH when it was finished? What did you think of it? DANTE: I did see it. I liked the picture. I know it got a lot of bricks thrown at it because it wasn't like the first two HALLOWEEN pictures but that was what I liked about it. I thought that the casting of Dan O'Herlihy was a great choice. I can't remember now who suggested Dan for that role initially, but I think it might have been Nigel Kneale. I just thought he was the perfect choice for that. 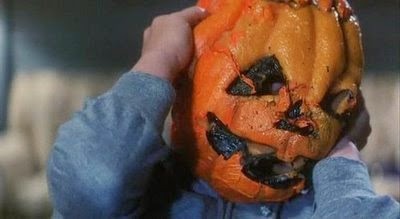 I don't think HALLOWEEN III deserved the criticism it took. I thought it was a great concept. DANTE: I think it was. I think John was thinking about it in terms of continuing on with it as series where each would have a completely different storyline. I thought it was a great idea to make it a anthology series out of it. It couldn't be done now. It's just too associated with Michael Myers now. 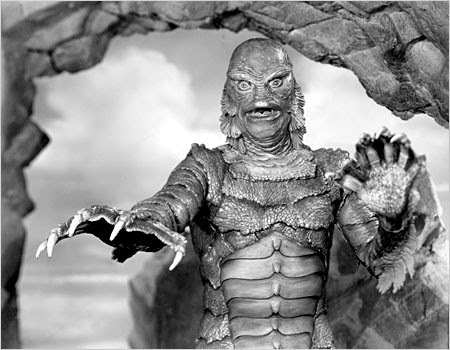 TV STORE ONLINE: Did you get to know Nigel Kneale well in the time you worked with him on that CREATURE FROM THE BLACK LAGOON reboot? DANTE: Yeah, I had first met him through a friend of mine, Jon Davison. He had met him over in England while he was there making TOP SECRET! (1984) and they had become good friends. Nigel did a treatment for us for a remake of X: THE MAN WITH X-RAY EYES (1963) but we couldn't get anyone to bite on it. We actually worked with him on several things over the years. 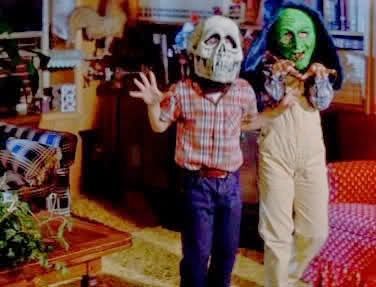 TV STORE ONLINE: Did you ever read that first Nigel Kneale script for HALLOWEEN III?